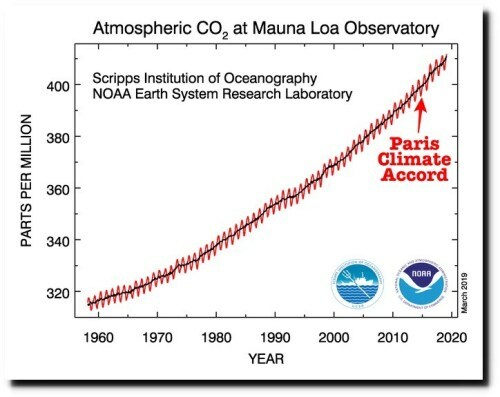 There is overwhelming evidence that ’greenhouse gases’ do not drive climate change. But some air heads still think a tiny amount of carbon dioxide has more power than the sun. 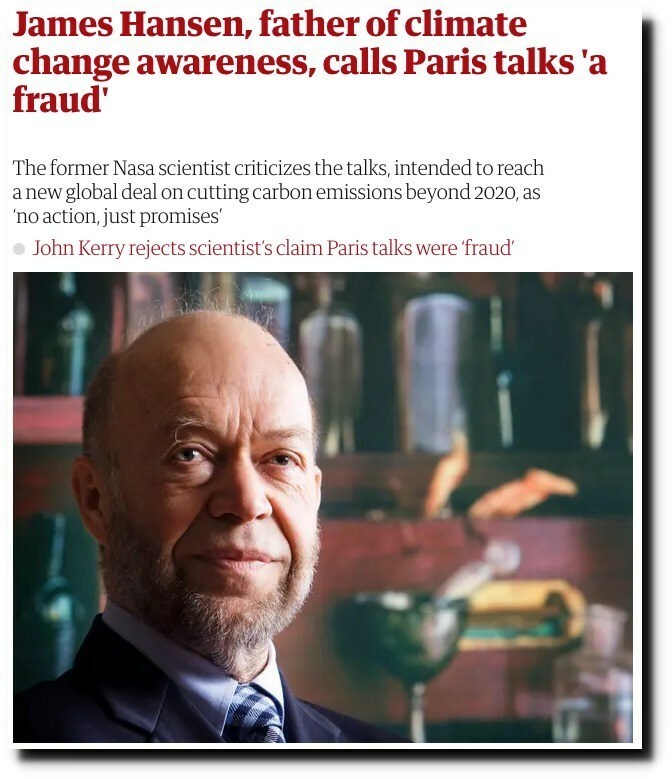 Over 31,000 scientists have had their names entered into the Congressional Record as being opposed to the false science of man-made global warming. But we do not have the luxury of an extended scientific debate. We have leaders who are determined to deplete our resources and control our behavior. The Green New Deal is here. 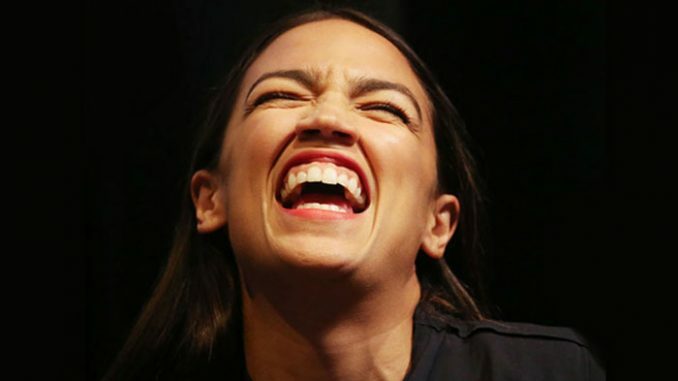 Alexandria Ocasio-Cortez unveiled her environmentalist masterplan that would give the US a blueprint on how to wean itself from fossil fuels and remake the American economy in the process (in short, introduce communism). Our freedom is under direct assault. Our congress has been bought with our own bailout money funneled thru the Wall Street traders and bankers. Our free press has become a propaganda machine for this domestic axis of evil. Unfortunately America has devolved into an over weight, over consuming, under educated and under productive society. The lowest common denominator is depressingly low. Our government run education system has succeeded in dumbing-down the masses to the point that few understand the science of this debate or the pending doom from the government run collective. False science is being used to promote a government take over of energy production and use. There is absolutely no science in political science. Just one generation ago America was the unquestioned inventor and producer of the world’s greatest treasure. We have a goose that has produced golden eggs for all of mankind’s benefit. But today a hungry mob stands outside our castle and demands a fine goose dinner. Once cooked, our goose will give no more eggs. We question if just airing our tires will solve the energy shortage, if painted rooftops or sulfur dioxide sprayed into the upper atmosphere are solutions to planetary warming. Given enough time we may be able to identify all of the relevant climate parameters and weight their relative influence. But only if we avoid being railroaded into physical and intellectual poverty but the ruling elite. This debate has gone beyond modeling of weather factors to the molding of lifestyles. We have witnessed the nationalization of the banking, insurance and auto industries. The collective is hoping to add energy and health care to government control. Please study the results of this kind of action under numerous twentieth century tyrants. Why will repeating these actions have better results today? One of my previous posts was titled “Thought Provoking by Definition” which is what science and debate are both about. One criticism of that tutorial was about what relevance the history of combustion has to climate science. The man-made global warming crusade’s misuse of science needed historical context. Combustion is the cornerstone of civilization. The energy industry has been told that this action was inevitable for fifteen years and as example, EXXON has ‘invested over $100 million in capture and sequester technology’ and related patents. This is considered a new market. The domestic drilling industry has been outsourced so it would be only a third party loss for the big energy companies. Repeat a lie often enough and it becomes the truth. In the novel 1984, big brother kept repeating IGNORANCE IS BLISS. Big brother intends to keep us blissful as long as possible. To those in academia and the media who are promoting the global warming sham I can only advise this. You will be a ‘useful idiot’ only until such legislation is enacted. You will then become a ‘useless idiot’ and join the rest of the sheeple for your head shaving, delousing, bar code tattoo and place in line with your iron rice bowl. That the elite’s climate agenda is for our own protection is undisputable. This issue did not advance this far by chance. Powerful forces are directing this debate to benefit from the outcome. Whether it is eco-zealots, global socialism or the New World Order is not germane to the current debate either. A government that wishes to control your home temperature, your hot tub, and your bar-b-que grille is no friend of freedom. I have chosen to stand with the thousands of scientifically trained people of conscience who oppose this onerous government action. Climate Realist website has been kind enough to post seven of my articles on the unexplored factor of geo-nuclear reaction in climate change. I am also a proud co-founder of Principia Scientific International. 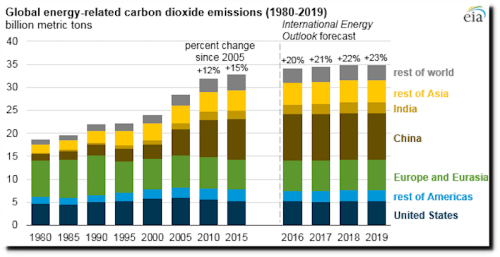 Our collaborative work forms a series debunking the CO2 myth and introducing geo-nuclear energy into the climate equation. The reader is advised to read all of this material in order for a better understanding of the range of earth forces. The current climate debate has been polarized around two simplistic positions rooted in an archaic geo-centrist viewpoint. The AGW hypothesis is that a minute human caused change in a minute atmospheric gas is the cause of climate change. The solar forcing position is that all climate change is based on solar cycles even though total solar output is virtually constant. What does vary with solar cycles is the solar cosmic ray and neutrino output, and both can influence fission reactions. “Atom smasher’ is the common name for a particle accelerator. There is no mention of the cause of the periodic solar cycles. The geo-nuclear theory is that galactic nuclear particle bombardment cause changes in the Earth’s internal fission reactions and the Sun’s cycles. The eleven-year solar cycle is merely the Universe’s pulsing heartbeat. The current inter-glacial warming spell a brief, unfrozen blessing to humanity. Estimates are that the Earth’s mantle is 4 PPM Uranium which would be seven hundred thousand cubic miles of fissionable material. Variations in the fission rates of this huge amount of material appear to be the most logical explanation for dramatic shifts in global climate history. Humans have no control of galactic forces that cause changes in the planets fissionable material. But the climate faces a far greater threat from fissionable material that humans do control. ‘Cap and Trade’ is an over whelming response to a non-existent problem. The Navy’s ‘Hail and Query’ is an under whelming response to dangerous fissionable material use by rogue states.
. Instead of the hypothetical catastrophes from uncontrolled carbon emissions our leaders should concentrate on the greatest threat to climate. The AGW claim is that millions may die in a century from uncontrolled carbon use. Millions may die in minutes from uncontrolled nuclear weapons. 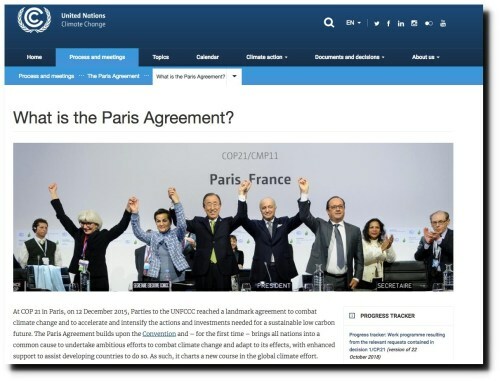 Four years ago, these heroes saved the planet from life-giving CO2 – via distribution of wealth from the US to smaller countries who wanted money for nothing. 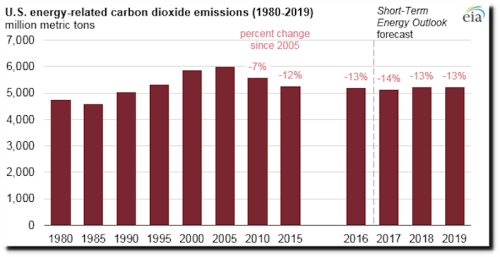 The US has essentially no control over CO2 emissions. Even if the US dropped off the map, the effect would be barely visible in the Mauna Loa CO2 curve.